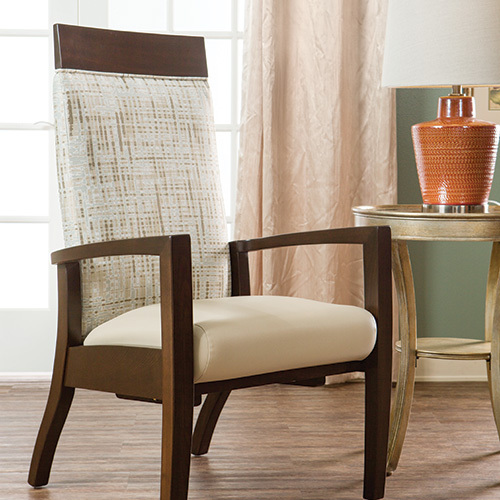 When choosing fabrics, stick to lighter colorways – dark fabrics may appear as a missing space or hole. Similarly, keep the patterns simple. 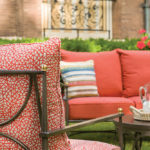 Complex patterns, specifically those with dots, could be mistaken for bugs or debris, while textured fabrics could encourage residents to pick at the fabric. 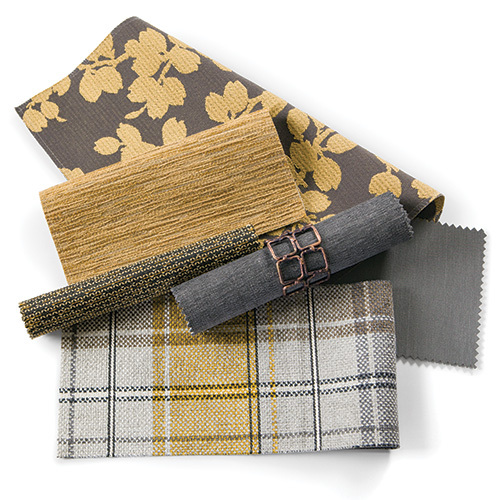 Like in all Senior Living environments, vinyl fabrics are a great choice for Memory Care environments because they’re moisture resistant and easy to wipe down. 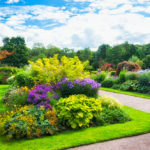 Since Memory Care residents are prone to wander, it’s important to help them find their way throughout the community. Clear signage and wayfinding materials, like 3D texture panels, are a good place to start. By combining color and texture into a wayfinding material, the panels help guide residents as well as boost mood, improve behavior and increase calmness. 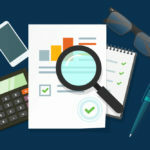 Consider table sizes that seat two to four residents. 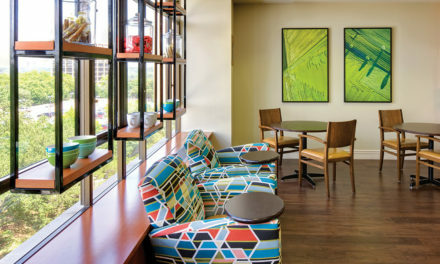 This can create a more comfortable setting for residents to converse with each other, stimulating social interaction. Plus, a more intimate setting will help minimize distractions for residents trying to complete one specific task. 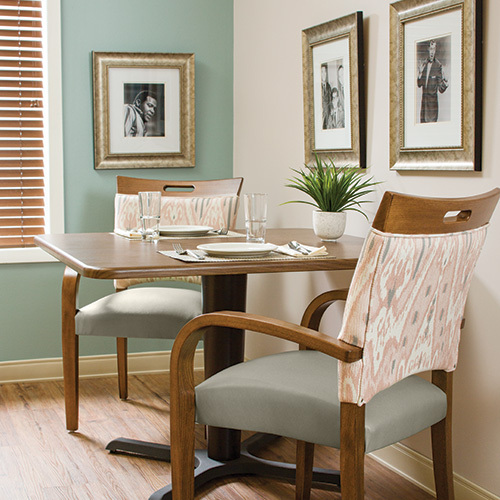 Create the ideal dining space for Memory Care residents with tables and chairs from our dining furniture selection. 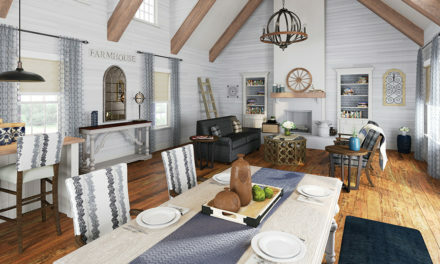 Create a personalized entryway outside of the resident’s room by using recognizable décor from home. 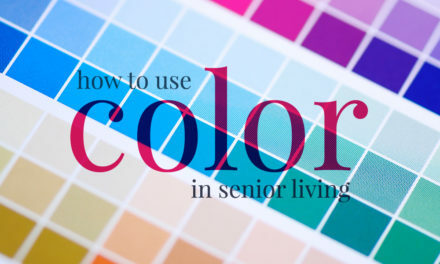 It’ll help the resident find their way and feel more comfortable. Start by including photos, and consider adding memory boxes so residents can add personal mementos. 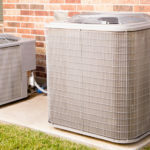 Movement is an important part of keeping residents healthy. Not only can movement help generate a calming effect, it can also improve circulation and prevent pressure ulcers. Consider using rocking chairs to give residents a chance to move and stimulate different areas of the brain. Innovative stationary rockers are a great option because they feature a seat and backrest that rock while the leg and arm assembly stays in place for increased safety. Appeal to residents’ hobbies and foster an environment that promotes choice, fun and socialization by including dedicated spaces for art, woodworking, exercise and other activities. One easy way to create a dedicated space is by including a Life Station, which encourages residents to engage with familiar activities. 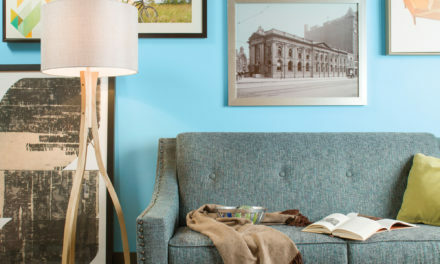 As you design your next Memory Care space, use these tips to create calming, supportive environments for residents. 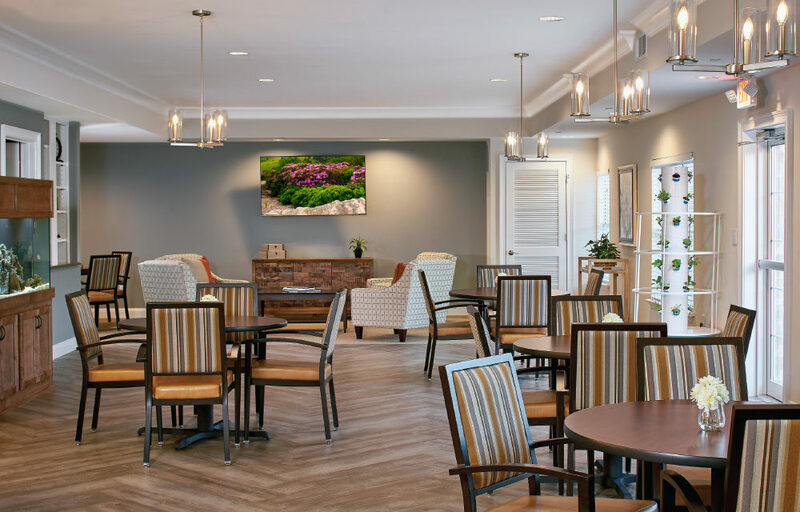 Read more on improving dining for Memory Care or contact us today to start your Senior Living project.